Collection of Tropical Storm Michael-related debris by Dare County and the six municipalities are taking place using separate schedules and policies set by each local government entity. The rescheduled regular bulk waste collection will take place on Friday, October 19. Note this bulk waste collection is seperate from storm debris collection. Currently the Town of Duck does not anticipate storm debris collection east of the Duck Trail. Properties east of Duck Trail should utilize the bulk waste collection. Pick up of only vegetative debris using the existing sector schedule for limb and branch removal will start the week of Oct. 22. Public works has started picking up large items and demolition debris. They will make multiple rounds, so if they do not get your debris on the first round, they will return for additional pick ups. Kitty Hawk has also reset their previously scheduled vegetative debris and chipping operations to begin Wednesday, Oct. 24. The town is contracting with Southern Disaster Recovery, and anticipate collection to begin on Thursday, Oct. 18. Collection areas are limited to those flooded by Kitty Hawk Bay: 800-900 blocks of Cedar Drive, West First Street, Canal Drive, Captains Lane, the westernmost edge of Indian Drive, Bay Drive from West First Street north to approximately Nixonton Street, including adjacent side streets. Kill Devil Hills Solid Waste Division is continuing the Fall Bulk Collection in all other areas as previously advertised. Anyone with questions can call 252-480-4080. Vegetative debris will be treated like regular curbside brush collection. Crews will start picking up in the soundside neighborhoods first. 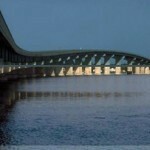 Call Nags Head Public Works at 252-441-1122 to give them your address to let them know you need a pick up. The town will be staging dumpsters in the areas that were most affected. Residents and businesses with flood damage can place debris either in the dumpsters or next to the street and town staff will pick it up. The pick-up is being conducted by Dare County Public Works personnel using county-owned equipment. Please be patient and know that pick-ups in a particular area will vary during the assigned week depending on the amount of debris to be collected. There will only be one pass – once collection has taken place in your area, do not place additional debris by the side of the road. Resources are limited and multiple passes will not be scheduled. 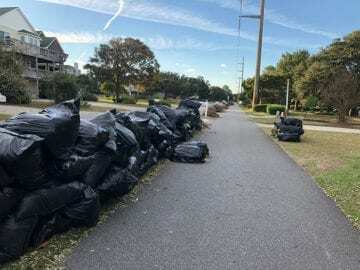 Martin’s Point, Hatteras Village, East Lake, Manns Harbor, and Stumpy Point – Debris must be sorted properly and placed in the right of way by Monday, October 22. Pick-up will be conducted Tuesday, October 23 through Friday, October 26. Roanoke Island (Wanchese and unincorporated areas of Manteo), Buxton and Frisco – Debris must be sorted properly and placed in the right of way by Monday, October 29. Pick-up will be conducted Tuesday, October 30 through Friday, November 2. Colington Harbor, Colington Island, Rodanthe, Waves, Salvo and Avon – Debris must be sorted properly and placed in the right of way by Monday, November 5 for pick-up. Pick-up in these communities will begin Tuesday, November 6.